The world’s first flameless, electronic, rechargeable candle lighter. The Illume ArcLighter is powered by our revolutionary new patent-pending technology that replaces the traditional flame with a super high-intensity electric arc that can instantly light candles, fireplaces and more! 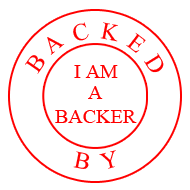 We would like to thank you for visiting our Kickstarter page. It's been an exciting journey for us to get here. We believe the Illume ArcLighter changes everything. And we hope you'll agree and enjoy our project just as much as we do. It's time to stop hiding those disposable candle lighters in your kitchen drawer. Imagine displaying your new Illume ArcLighter to match your home decor. It's meant to be seen and always within reach! The Illume ArcLighter is like no lighter you have ever seen. Unlike a regular lighter, there is no flame that can flare-up when positioned upside down. You can freely use the Illume ArcLighter in any direction. Even completely vertically! Did you know that candle lighters contribute to the 1.5 billion lighters that end up in landfills each year? It's time for a change and switch to a rechargeable alternative. The Illume ArcLighter requires no fuel with its built-in rechargeable lithium ion battery that is always charged on its dedicated USB powered dock. With a press of a button, the Illume ArcLighter instantly comes to life. The principles of how the Illume ArcLighter works is literally lightning at your fingertips. From top to bottom, everything is so beautiful yet so functional. Combined with its flame-proof ceramic tips to its zinc alloy cover to the light weight heat resistant thermoplastic polymer body to its USB powered rechargeable dock, the Illume ArcLighter is like nothing you've every seen. The Illume ArcLighter has several key safety features built right into the design of the lighter. Unlike an open flame, the Illume ArcLighter focuses its heat at its tip for precision lighting. No more burn marks left from the top of a flame. No more gas build-up where the flame flares up. Illume ArcLighter is focused. Precise. Every time. We have 4 great reward packages to choose from perfect for your home or office or both! At launch, the Illume ArcLighter is available in the original Silver Kickstarter color. We hope to reach our stretch goals to offer you more colors to choose from! Our 1 pack reward comes with the Illume ArcLighter, charging dock and a 9"/23cm USB cable (regular USB to mini USB) to plug into any powered USB port such as your computer or standard USB wall plug. Our 2 pack, 5 pack and 10 pack rewards come with a bonus wall charger and extra long 36"/91cm USB cable (regular USB to mini USB) for added flexibility. Before we ship, we'll be sure to confirm which international wall charger you would prefer. The more backers we have, we can reach higher brackets of minimum order quantity allowing us to introduce more colors. Please help us share, tweet or write a blog post to help spread the word! All your support is appreciated! $125K - 3 additional colors based on your feedback! If you can help us reach these goals, we'll be sending you a survey at the end so that you can choose your favorite color(s)! Like many ideas, it all started with scribbles on an iPad. One day we were struggling to use a stubborn disposable candle lighter that simply wouldn't work. After numerous clicks of the lighter not lighting, an idea simply 'clicked'. Why not take our know-how with our USB pocket lighters and create an electronic candle lighter? But instead of using our existing technology, we decided to take it one step further. Let's create a new method to light the delicate wicks of a candle to lighting the invisible gas of a BBQ with ease. After investing years into research and development to filing patents to creating one-of-kind hand-made prototypes, the Illume ArcLighter was born. When we first started, we knew we would face tough competition from existing traditional products in a small niche market. But when we used our proto-types for the first time, we fell in love with the design and its elegant solution compared to what is out there. So we forged ahead. Now that we're ready, we felt it was time we asked for help for the final stretch to bring the Illume ArcLighter to market. And we asked ourselves where better to ask for help than the actual people that might love this project just as much as we do. So that's why we're turning to you on Kickstarter. We'd like to ask your help in joining us to make the Illume ArcLighter a reality! The Illume ArcLighter was born from a small yet passionate team located in Edmonton Alberta Canada. At Ignite Lighters, we're known for our innovative and award-winning line of flameless, electronic USB pocket lighters. Now, our goal is to take candle lighters to the next step with our patent pending ArcLighter Technology. November 2015 - Ready to ship!